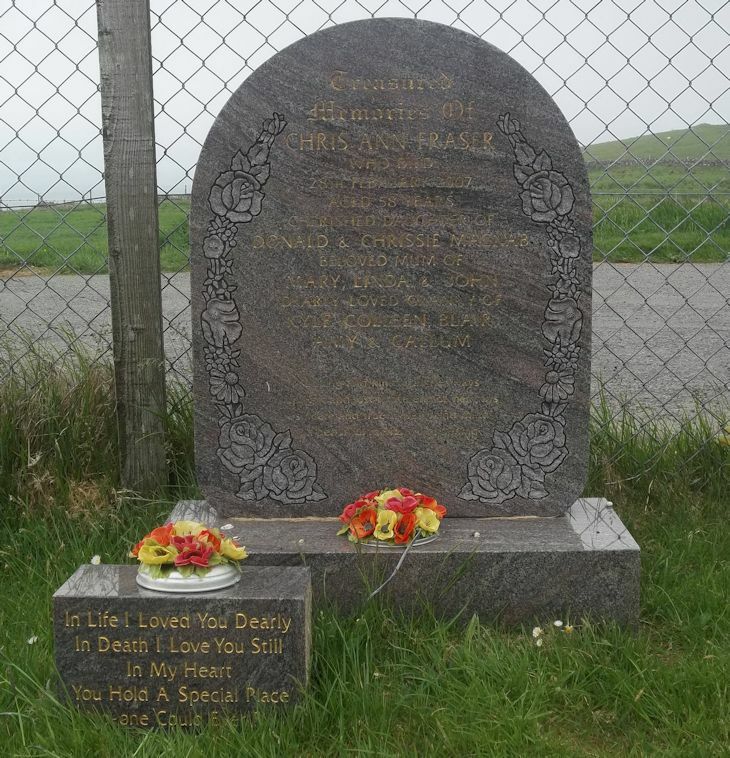 Skye Gravestones | Chris (MacNab) Fraser. Treasured memories of/CHRIS ANN FRASER/who died/28th February 2007/aged 58 years/cherished daughter of/DONALD & CHRISSIE MacNAB/beloved mum of MARY LINDA & JOHN/dearly loved granny of/KYLE COLEEN BLAIR/AMY & CALLUM. Loving and kind in all her ways/upright and just to the end of her days/sincere and true in heart and mind/a beautiful memory left behind. In life in I loved dearly/in death I love you still/in my heart/you hold a special place/no one could ever fill.